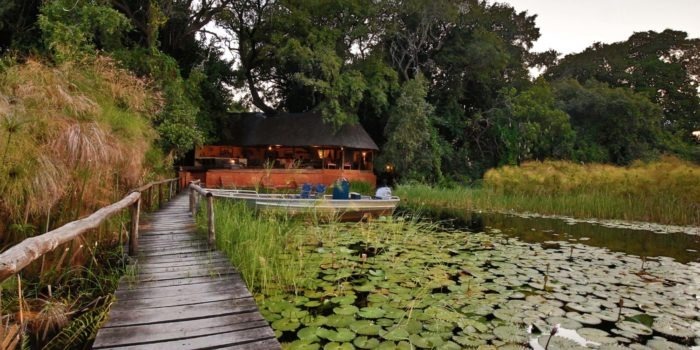 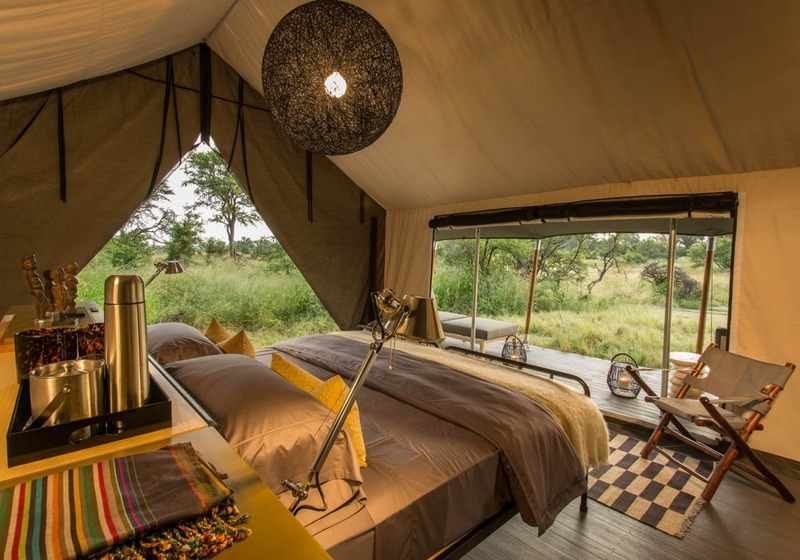 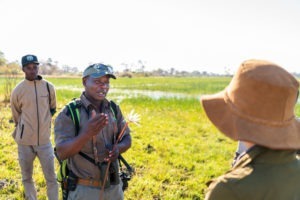 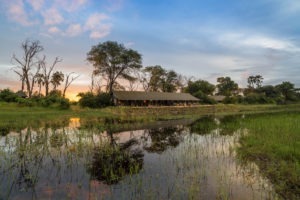 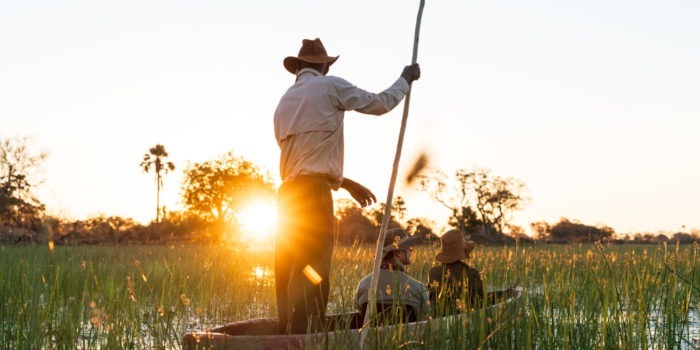 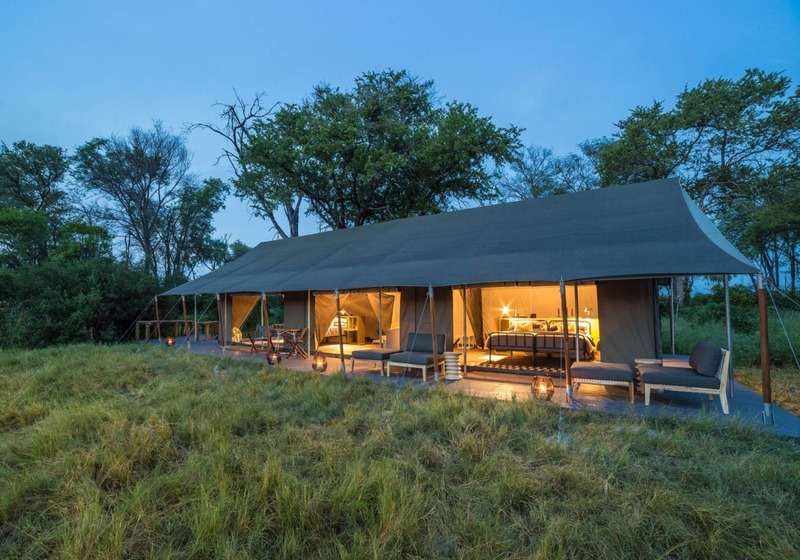 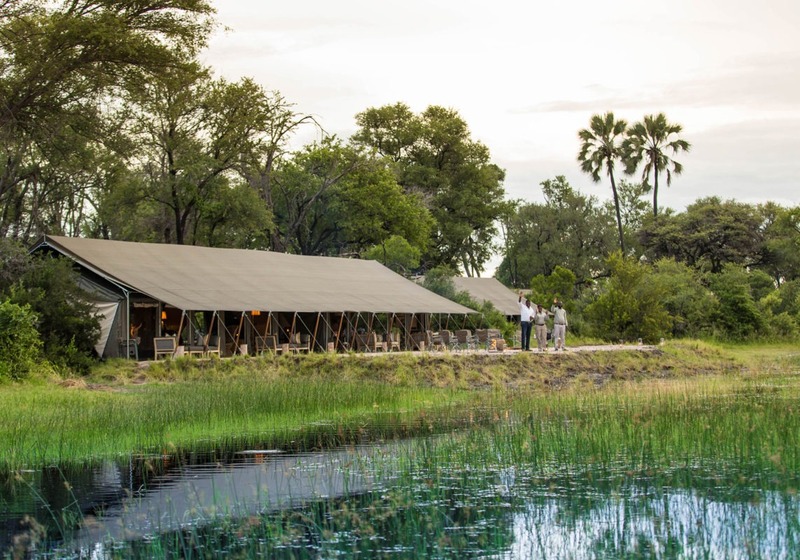 The camp is named after the Gomoti river, which forms part of the Okavango river system. 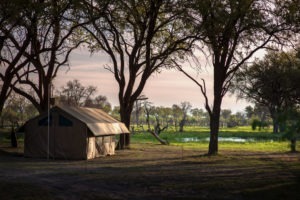 The camp is located on the edge of one of the smaller floodplains of the Gomoti within a private concession. 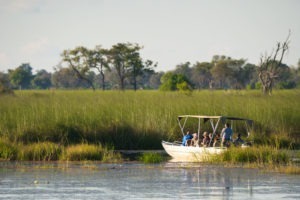 This allows for less crowded sightings and more opportunity in terms of activities. Gomoti Plains camp is the sister camp to the successful Machaba Camp which lies in the Khwai area. 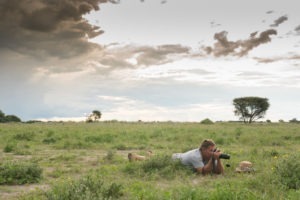 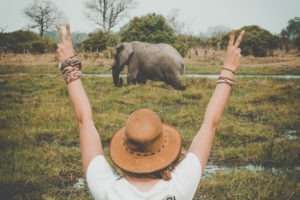 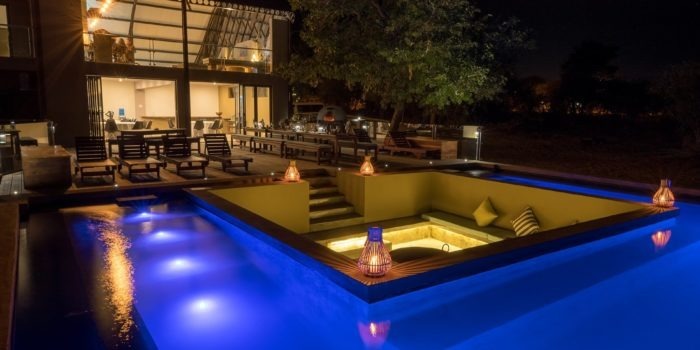 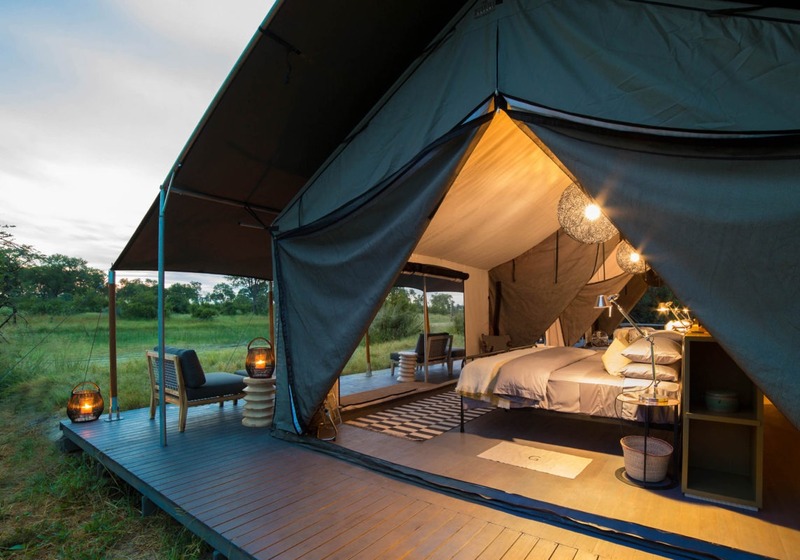 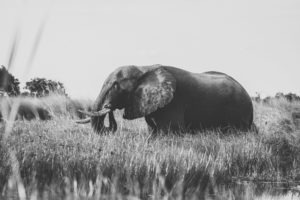 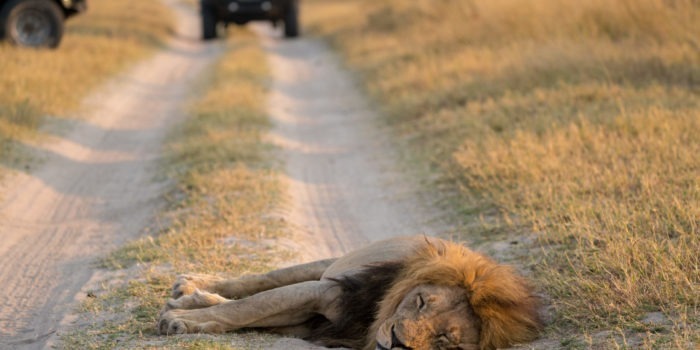 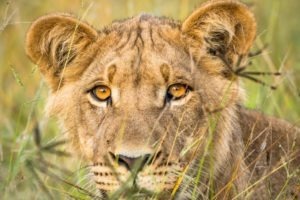 They both offer the same winning recipe and offer an affordable stay for those seeking a bit more of a luxurious safari whilst still maintaining authenticity. 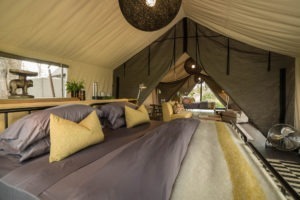 The accommodation on offer are ten luxury tents, of which two are large family tents and eight are luxury doubles. 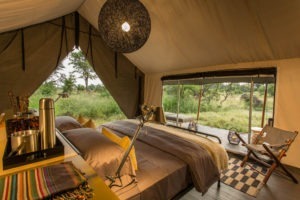 The camp thus sleeps a maximum of 24 guests. 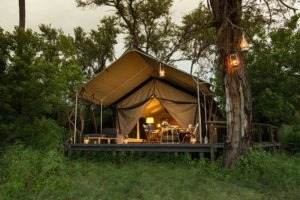 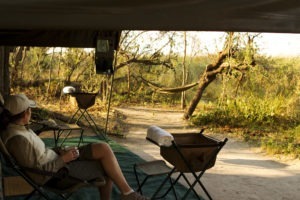 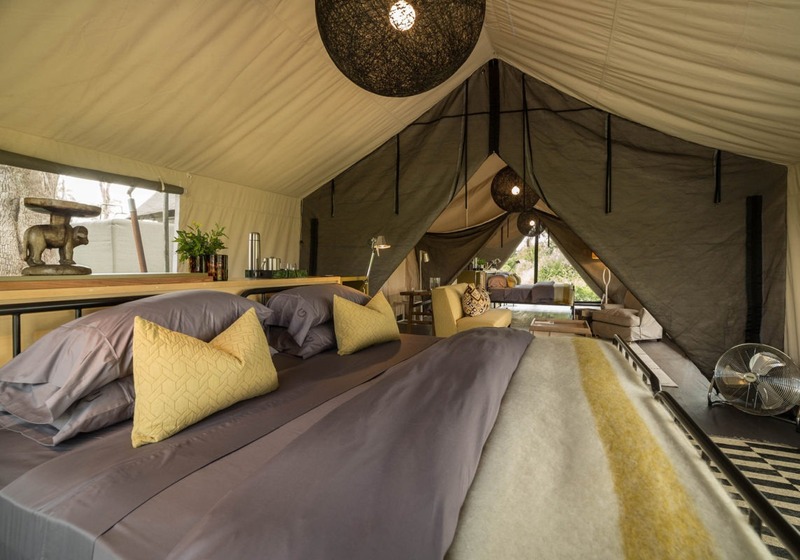 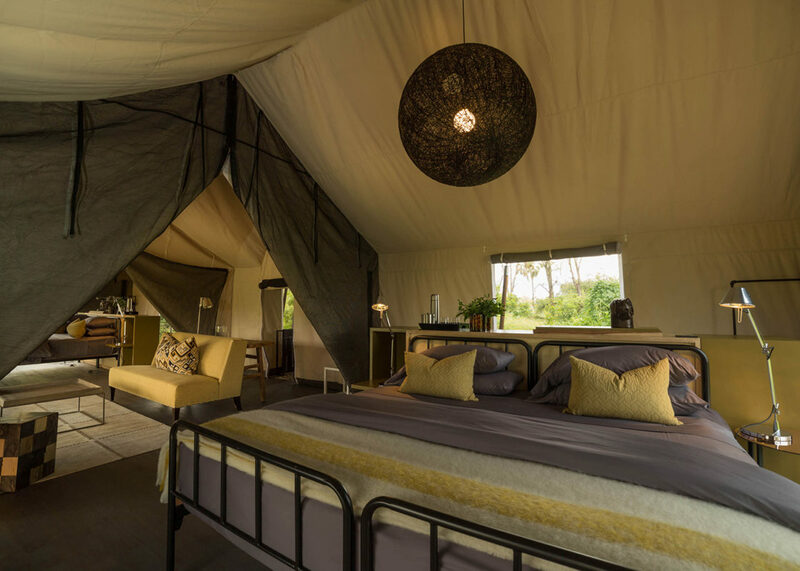 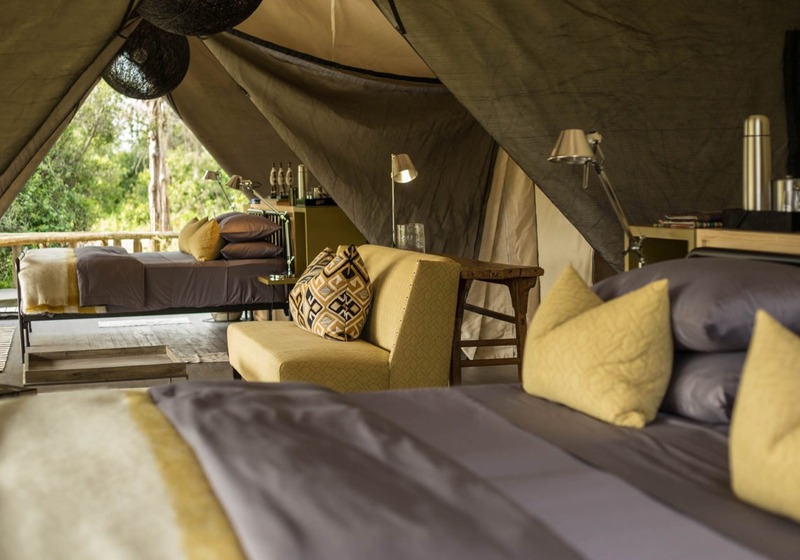 Each tent has its own en-suite facilities and views over the stunning floodplains of the Gomoti. 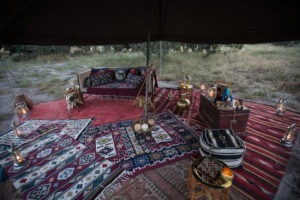 The main tented area is where one finds the communal lounge, dining area, bar and mandatory fireplace. The camp even sports its own library and swimming pool for the warmer days. 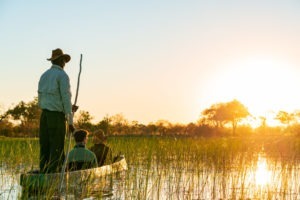 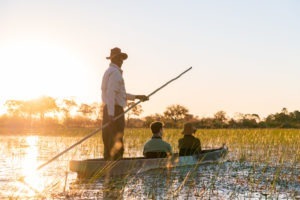 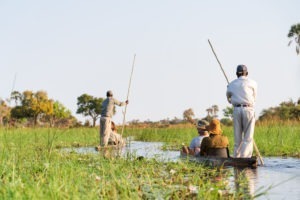 Being in a private concession Gomoti offers both land based: day and night drives with off-road driving permitted and walking safaris, along with water based activities which include: boating, mokoro and fishing. 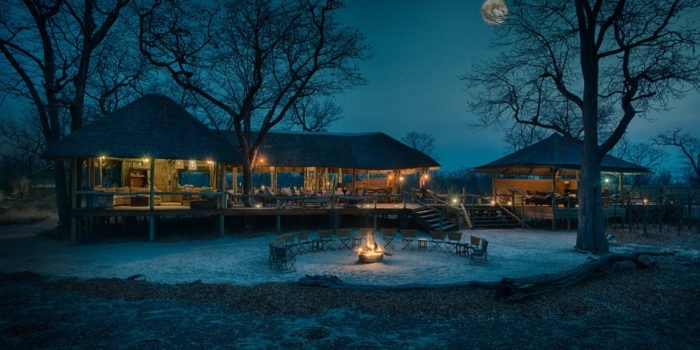 After dinner late night drives are also an option for those restless adventurers! 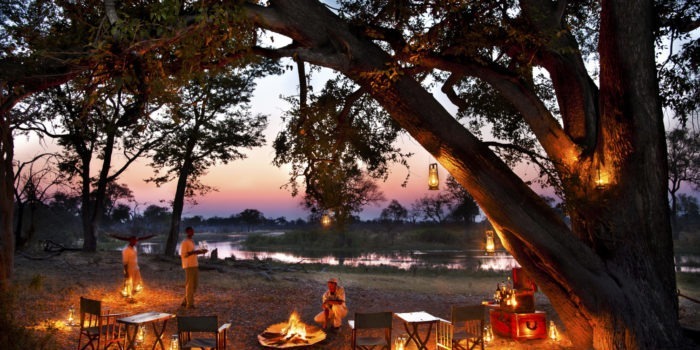 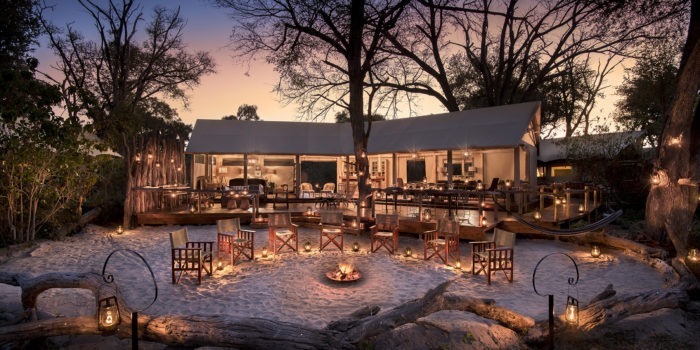 We would recommend Gomoti and Machaba as entry level luxury lodges for northern Botswana. 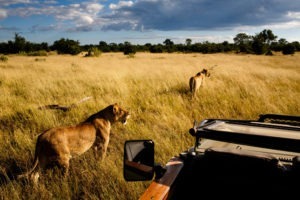 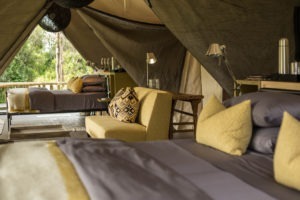 They offer a good value for luxury and quality safari experience. 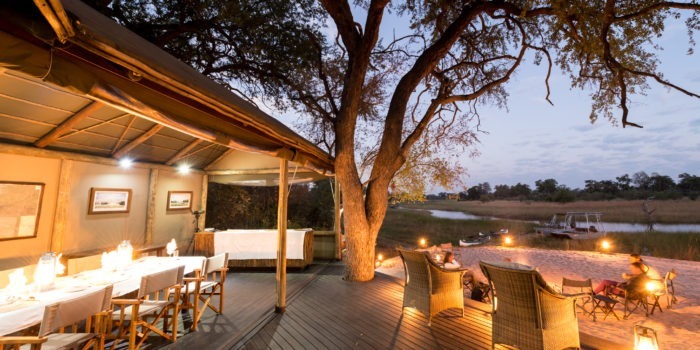 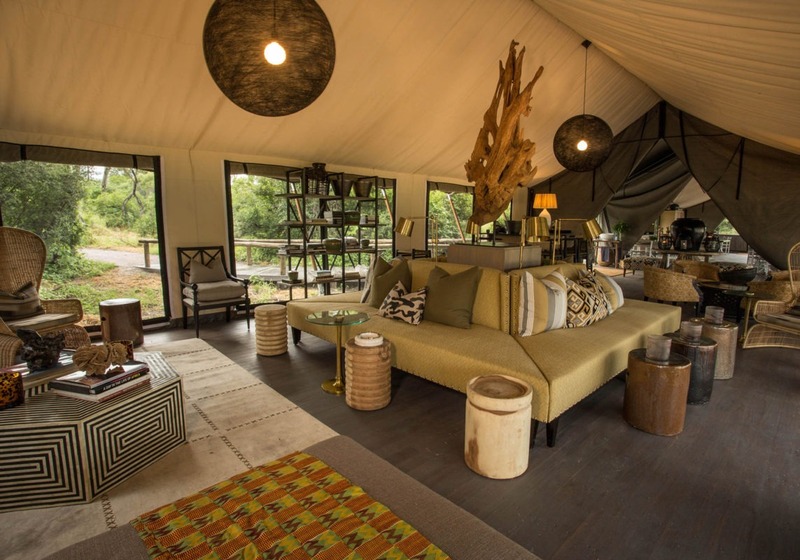 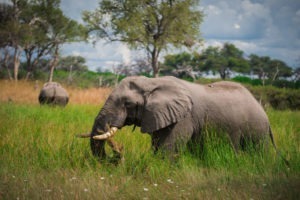 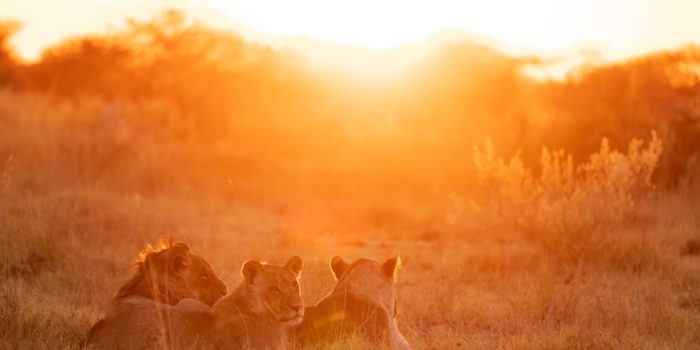 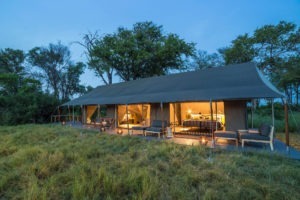 Situated in a private concession with fantastic gameviewing. 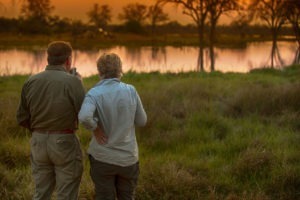 Wide range of activities on offer. Good value for money for the slightly more luxurious traveler.